Football? Not so much. Both of our daughters were home last weekend, that happens just once or twice a year. I always ask them what they want to do and the answer is always the same. Request their favorite foods for Mom to make them and hang out. Hanging out means games. 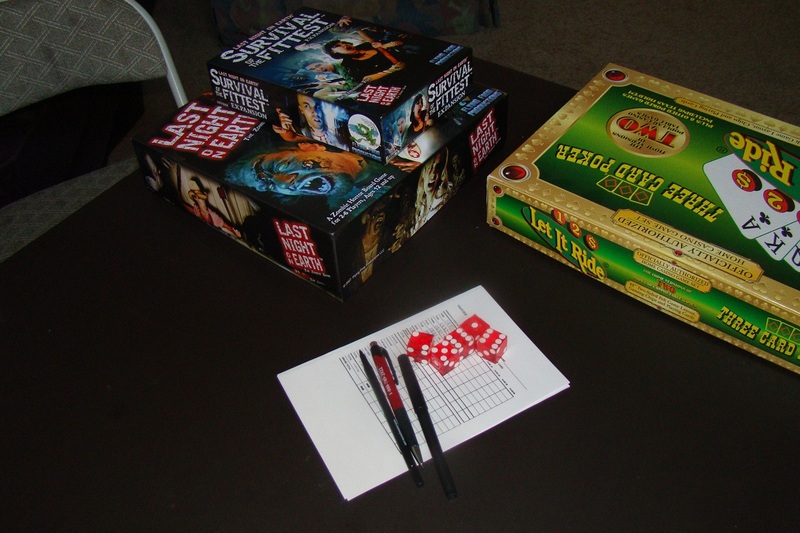 We drag out Yahtzee, poker and our new favorite zombie board game. It doesn’t matter who wins, what matters is playing and laughing together. I miss my girls already.